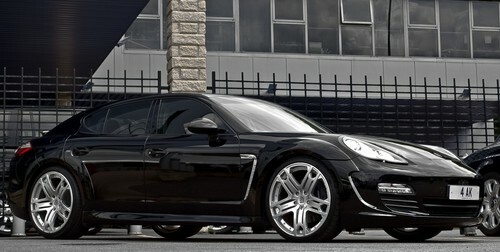 The British tuners at Project Kahn has come up with a new kit for the mighty Porsche Panamera. This strictly visual kit features flared wheel arches as its main highlight, and also includes front and rear spoiler, side skirts, and side vents, front and rear air dams, integrated front LED’s with vents, and rear diffuser. What makes the car so special though, is the stylish RS600 wheels, based on the normal Kahn RS wheels, but kinda chubbier and better looking.